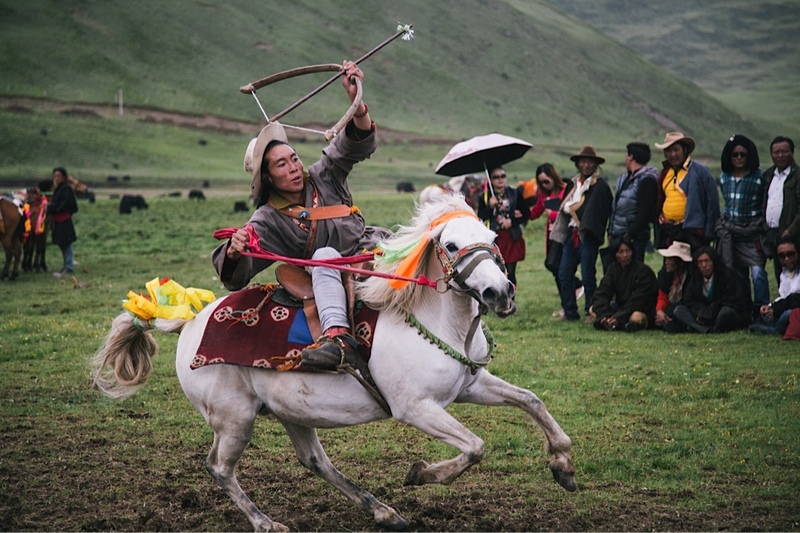 During the summer, the people of Kham showcase some impressive horsemanship. 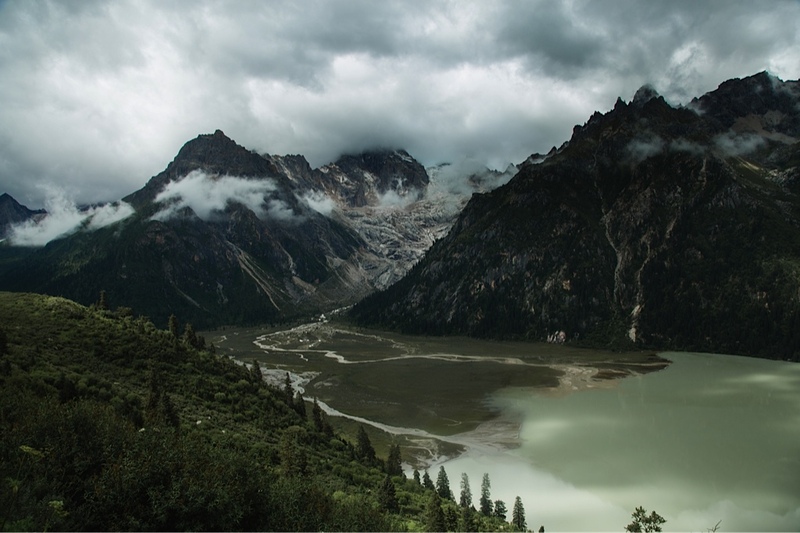 In China, near the border of Sichuan and the Tibetan Autonomous Province, lies the heart of Kham, one of the three traditional Tibetan areas in China. With most of the region lying at altitudes of 3000m or higher, the landscape consists of vivid grasslands bordered by impenetrable mountain ranges. Rain seems to drizzle constantly, but when the sun breaks through it almost instantly burns the skin. 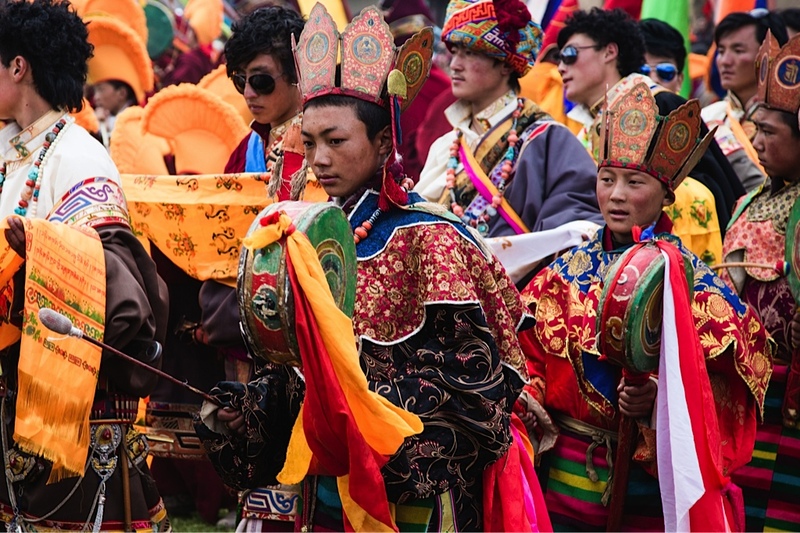 Every summer, when the weather is about as good as it can get, the local monasteries organize Tibetan operas and horse races, which are interspersed throughout the summer months. The events have a religious significance. 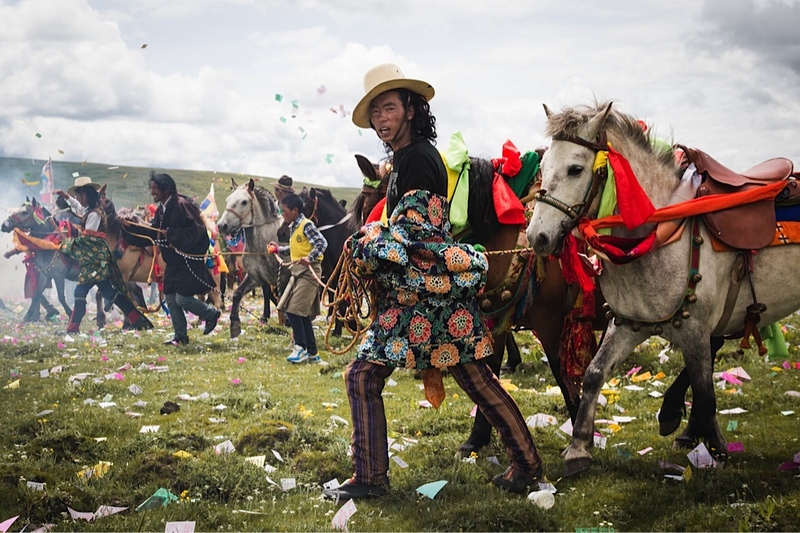 Local monks play an important role in the production of the Tibetan operas and enjoy a high honorary position at the horse races. Villagers and nomads alike from around the region gather for a few days at a time. Attendees set up temporary tent camps for the duration of the events and spend their time buying and selling traditional medicines, jewelry, and other regional specialties. Between the highlights and local performances, they eat yak meat dumplings and drink butter tea. 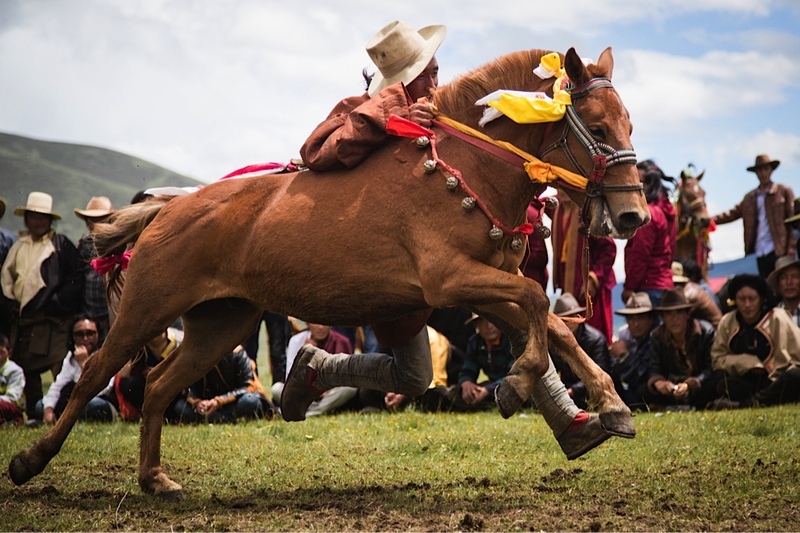 At the Litang Horse Racing Festival, men of any age – all well-trained horse riders – like to show off their skills in different ways. From high-speed races to acrobatics, bow and arrow skills, and even shooting muskets, the riders showcase their agility from the top of their horse. For some, prizes can include cash or even a new car. For others, a chance to show off to the girls is reward enough. A horse rider makes his way across the makeshift racetrack near Litang. With makeshift bow and arrow, a rider attempts to hit a target while leaning sideways off his galloping horse. 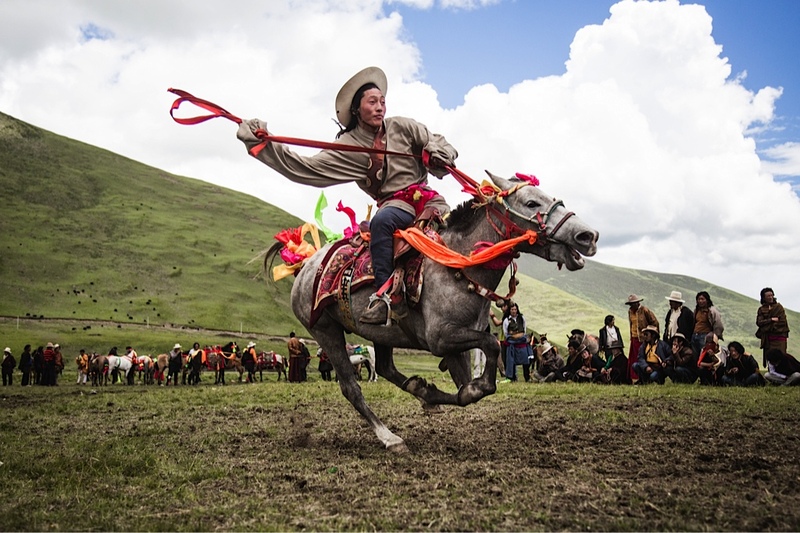 Tibetan men show off their horse riding skills to a crowd of visitors from surrounding regions. 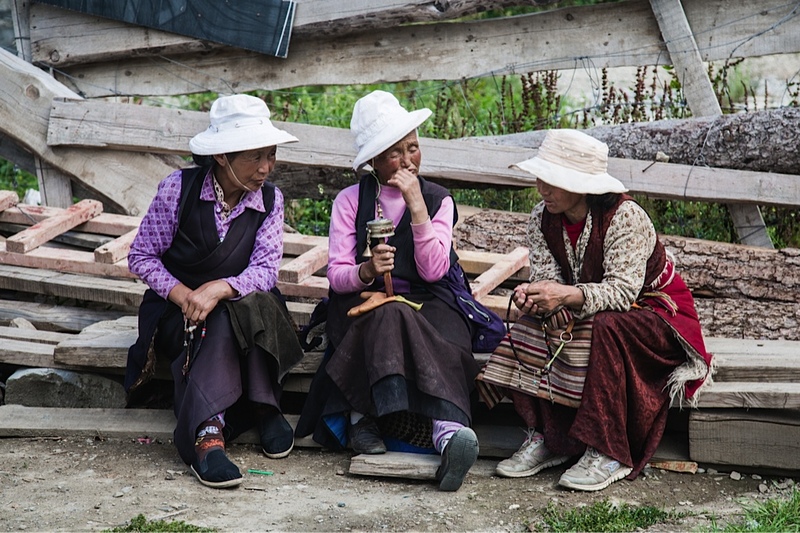 Three Tibetan women have a chat near the white stupa shrine in Litang. Riders make their way around a smoke offering of cypress and juniper leaves before starting the races in Litang, Sichuan Province. 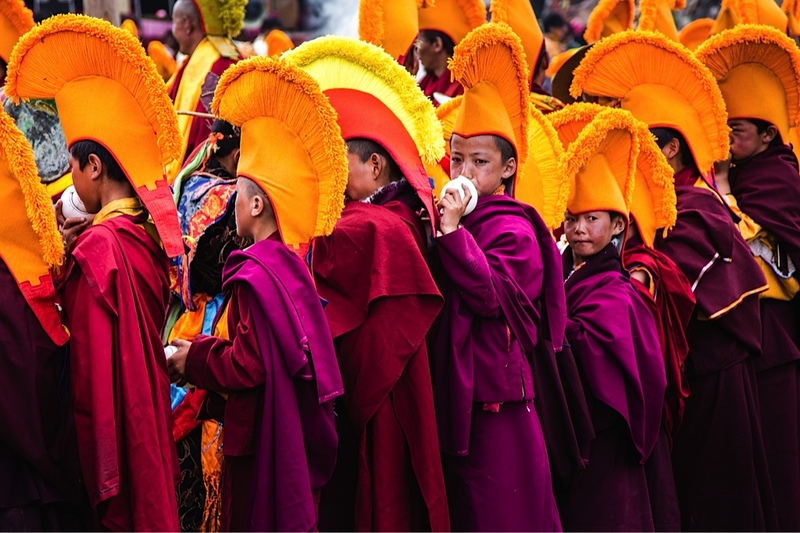 Novice monks and older boys during a ceremonial procession near Maniganggo. Young novice monks use a dung-dkar or conch to ward off evil spirits during a ceremonial procession near Maniganggo, Sichuan Province. 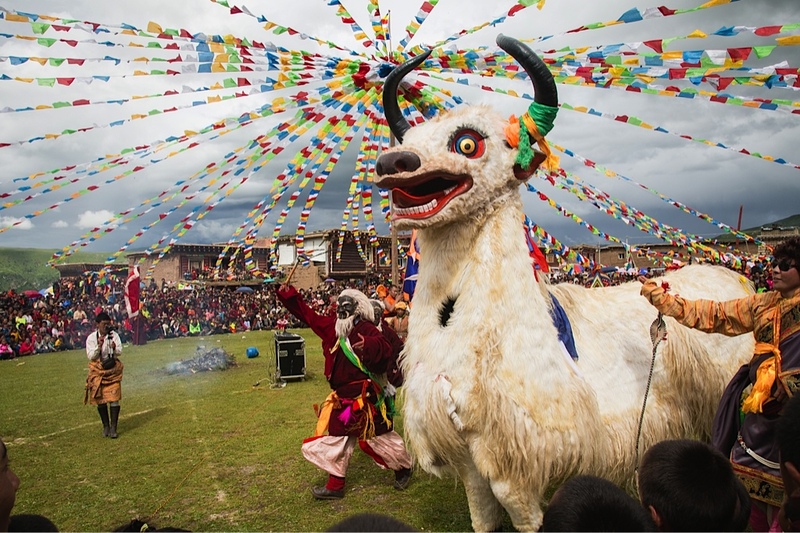 A yak dance is performed by monks in front of the monastery in Maniganggo. The play includes several characters from buddhist and Bon mythology. Views over Chola mountain and Yilhun lake near Maniganggo. Nomads move to high pastures around the mountain range to let their yaks graze and move to lower altitudes in winter. 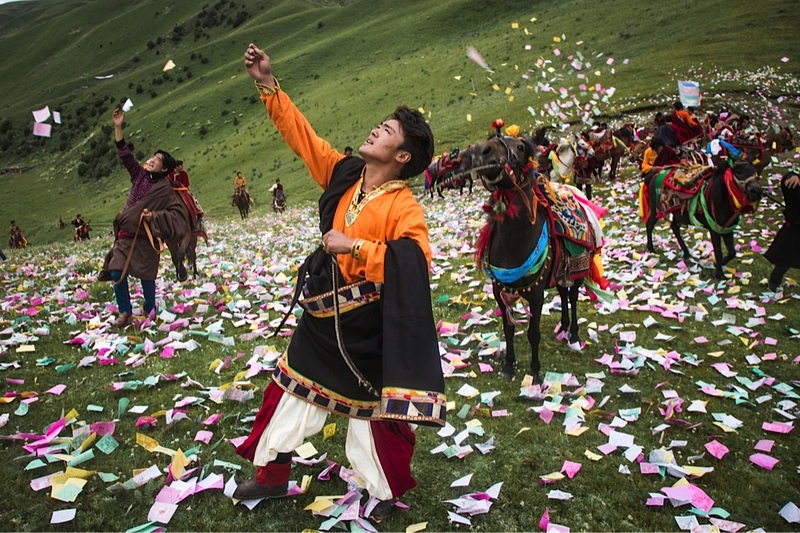 Horse riders throw up prayer papers and chant buddhist prayers as a blessing before commencing the races. The colors represent the five different elements. A former logging town in Tibet, now a tourist trap, is a world away from its fictional inspiration.